How to use the Live Pads with Rock Drum Machine and BS-16i, this is so useful. Glad you did. This is serious juju to the boys at the back. Find rock drummer a bit muscular, but soft drummer is lovely etc etc. Thank you Sir Doug. 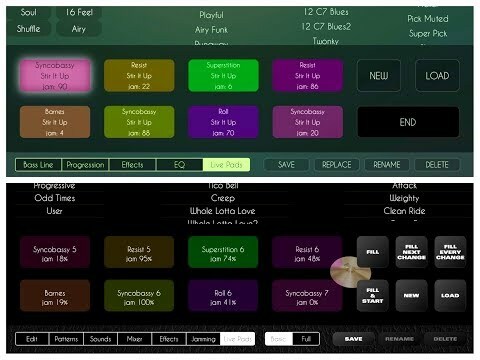 @LuisMartinez is there a possibility to have iBassist remember settings when used within AudioBus? I have a really cool setup going in AB3 but I have to reconfigure the midi settings or setup in iBassist every single time I load the AB3 preset. Would be so nice if iBassist worked with state saving inside AB3.